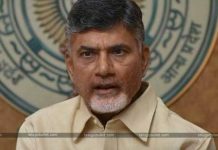 The Andhra Pradesh chief minister N. Chandrababu Naidu has responded and discussed with the senior leaders of the party regarding the sudden IT raids on construction firms and industries in Vishakapatnam, Guntur, and Krishna districts in the morning today. As per the sources, it is known that a large number of IT officials have already gathered in Vijayawada and special teams have been incorporated to raid the ruling party members but in the last minute, the plan has been called off. As the media attention is large on this they seemed to have back stepped regarding this. But they’ve implemented their plan B by making quick raids on construction firms and industries. Naidu talking to the senior leaders of the party has opined that it has become a habit for the central government to conduct raids on the poll-bound states such that to threaten the opposition over there. 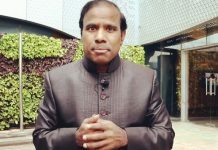 He also referred the states like Karnataka, Tamil Nadu and Telangana. Naidu has given his message to all his cadre not to lose the confidence by such acts and be prepared for any consequences in defending the state interests. On the other hand, after Amaravati became the capital of A.P, the surrounding areas have got a lot of demand. As per the general view of the public, the construction activities in Mangalagiri, Vijayawada, and other surrounding areas have risen up to an unexpected level. Taking this as a base, the IT officials have raided on construction firms, several precasting and brick industries.